View cart “FULL-BACK Front & REAR Seat Covers + Armrest Access for Mitsubishi Pajero Sport (MPS15-FB+Rz)” has been added to your cart. This listing is for 2x Full-back Third Row Seat Covers suitable for “50/50 Split Folding Function” (see photos) in the following vehicles. For full protection, we also recommend purchasing the Console Lid Cover for “Centre Console”. Rear Seat Cover is full-back which protects the back of the seat from cargo damage. Split-folds without the need to remove the Rear Seat Cover. Comes with unique armrest access. Third Row Seat Covers are full-back which protects the back of the seat from cargo damage. Split-folds without the need to remove the Third Row Seat Covers. All seat cover listings include headrest covers. 2.5mm automotive grade neoprene rubber with ribbed 'stay put' backing. Water-resistant, Colour-fast, UV-resistant with super 4-way stretch. Charcoal black neoprene highlighted with Silver twin-needle stitch. We offer free shipping Australia-wide for all seat covers purchased. We want our product in your hands as fast as possible. Typically, we take up to 3 business days to ship the seat cover to you. If we do not have it in stock, allow up to 10 business days for us to make the seat cover for you. Although we gear our manufacturing for fast turnarounds, we will not cut corners for the sake of expediency and will inform you of any delays on those rare occasions. We deliver to most international destinations but postage charges will apply and delivery times vary. At Checkout, select the destination country and our system will calculate international postage costs automatically. International shipping will usually be via international standard shipping (unless otherwise selected). For your protection, orders for items exceeding the value of AUD100 will normally include tracking, insurance and signature on delivery. We are confident that you will love our Dingo Trails® seat covers. If for any reason you are not delighted with your purchase, we provide a full money-back guarantee 30 days from the date of purchase. For international destinations, the period is extended to 40 days. Return postage to be borne by the purchaser. All our seat covers are manufactured right here in Australia where every single product is inspected by our QC Team after manufacturing as well as before they are received into the warehouse. We will repair any manufacturing defect arising from normal use for a period of one (1) year from the date of purchase. The warranty does not cover damage such as, but not limited to tears, holes, rips and gouges resulting from usage beyond normal wear and tear. Please contact us on +(613)6128-3088 or dingotrails@gmail.com if you encounter any manufacturing issues or to arrange for returns. Kindly remove the covers from your vehicle before contacting us. Return postage to be borne by the purchaser. Statutory Warranty: Our goods come with guarantees that cannot be excluded under the Australian Consumer Law. You are entitled to a replacement or refund for a major failure and compensation for any other reasonably foreseeable loss or damage. You are also entitled to have the goods repaired or replaced if the goods fail to be of acceptable quality and the failure does not amount to a major failure. We bend over backwards to ensure our customers get the very best service and quality. These are not mere words: we live by them everyday ensuring everyone in our organisation from sales, manufacturing to procurement is focused on this singular goal – to delight our customers. We have been selling on eBay since 2007 and work very hard to establish Dingo Trails® as an eBay Top-rated seller having received over 99.9% positive feedback from almost 2000 reviews over the past several years. As an eBay Top-rated seller, it means Dingo Trails® “consistently receives highest buyer ratings“, “posts items quickly” and “earned a track record of excellent service“. Check out our eBay profile or eBay Store. Whether you purchase from eBay or our website, you can be rest assured of receiving the same top service. We are not Big Corporate. We are a few blokes (and a gal) who came out, got together and started Dingo Trails® with a passion to craft the best premium neoprene seat covers. As such, we rely on word-of-mouth and your feedback to grow our Aussie business. With customer satisfaction our priority, receiving positive reviews is the lifeblood of our business. Although not perfect, we consistently receive 4-5 star ratings. You can also read testimonials. So purchase from us with the assurance that you will receive top service and quality. When you do, we hope that you will honour us with a positive review. We won’t compromise quality. As neoprene experts (our sister company has been selling neoprene since 1985), there are a lot of neoprene seat covers that claim to do what Dingo Trails® covers do. However, they are not UV-treated, OEM (Original Equipment Manufacturer) spec’ed, have poor stretch (which will lather/tear) and fade under the Australian sun. We even heard some competitors are using covers treated with formaldehyde, a known carcinogen with a strong smell! 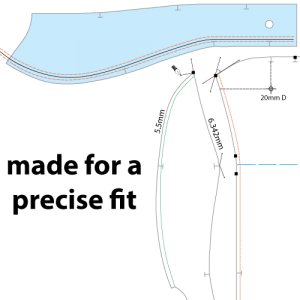 Compare that to our automotive neoprene that is soft, luxurious and battle tested for over 10 years in the Australian market. As far as we know, no other neoprene can make this claim. And oh, our neoprene is formaldehyde-free. Dingo Trails® seat covers are individually crafted in Australia and custom made to fit your car seats like an Armani suit. We are real Australians with families, employing Aussies who are proud to put our name behind every seat cover we make. Each seat cover is meticulously designed so that there are no saggy bits and manufactured in-house using the latest computer-aided machinery that cut within 1mm precision to ensure that you get the best quality seat cover you can buy. If there are any queries, you can easily contact us to speak to a real person and we’ll do our best to answer promptly. Learn more on what makes us tick. Every seat cover is meticulously designed for a precise fit and we go through multiple prototypes until we are satisfied and PROUD to put our name on it. We check seat belt mounts, lever controls, buttons, headrest posts and fittings that often overlooked by others. Made right here in Melbourne using CAD (Computer Aided Design software) and the latest CNC cutting machinery, we control every aspect of our manufacturing from raw materials to finished product. We take into consideration quality control of materials, durability testing and stitch sewing. If it does not meet our stringent standards, we won’t put it up for sale. Learn about seat covers and what makes Dingo Trails® Seat Covers different. We are the manufacturer of GENUINE Dingo Trails® seat covers. Others may look similar but it is only when you purchase genuine Dingo Trails seat covers will you appreciate the superior fit & craftsmanship, attention to detail and durability of automotive-grade neoprene. We are committed to making the best seat covers tailor-made for your vehicle. You are purchasing a seat cover designed and manufactured by motor trimmers who are passionate about design and absolutely love what we do. Obsessed with quality and with over 30 years in the automotive industry, we make our own patterns and manufacture all seat covers in our factory right here in Melbourne Australia. Automotive-grade neoprene that is luxurious yet Durable and Water Resistant – protects against grease, mud, slobbering pets, coffee spills and “accidents”. Battle tested for over 8 years under the Australian climate. Prestige car designed seat cover highlighted with twin-needle silver coloured stitching on a charcoal black fabric. Designed to look factory-fitted. See photos! UV stabilised and colour-fast so won’t fade easily. Ribbed rubber backing so the cover stays put. We are motor trimmer-designers (with families who love skiing, mountain biking & the outdoors) and absolutely love what we do. Made 100% right here in Melbourne Australia, we take pride in our products and use only premium quality materials and craftsmanship. Why should you buy from us? 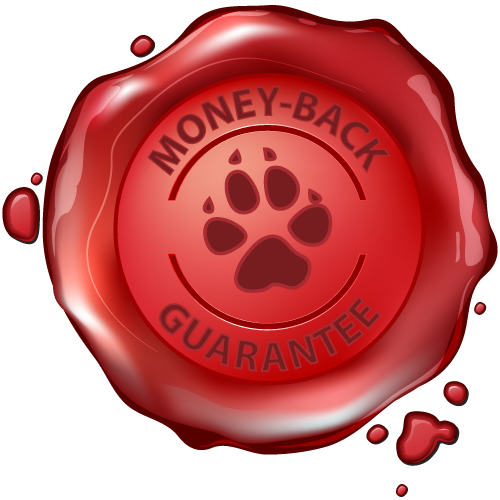 We are so confident of our product that if you are not satisfied, we offer a full, no-questions-asked money-back guarantee*. Find out more about us and why we started this business. You can also hear what our customers say about us.